When Danny had a new hard drive installed in his desktop PC, the technician left the old drive in as well. Danny asked me what he can do with the extra drive. 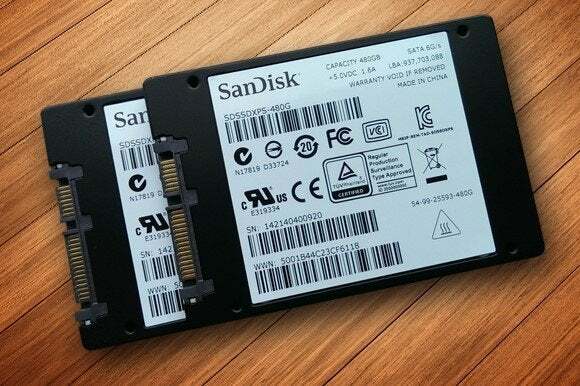 Hard drives and SSDs fall easily into the category of two is better than one. Not only do you have more room for storage, but you can use that extra room to speed up your PC or protect your system from a hard drive crash. You can better protect your Windows installation and your library files if they’re on separate drives. If one of your drives is an SSD, put Windows on that one. Otherwise, put Windows on the smaller drive. I’ve discussed this in more detail. If you have a spare drive, you can install another operating system without partitioning. This is a great way to learn Linux or test Windows 10 before it becomes safe enough to use. If your motherboard supports it, and the drives have the same capacity, you can set up a RAID 0. This turns the two drives into one very large, very fast virtual drive. You can create a RAID 1, which writes the exact same data on both drives. It doesn’t speed up your PC and you lose the extra storage. But if one of the drives crashes, the other keeps on going. Again, this requires motherboard support and drives of matching capacity. Remove the spare drive, and install it in a SATA-USB drive enclosure (you can buy one for less than $10). Effectively, that turns it into an external drive, which you can use for backup. If nothing else, enjoy the extra space! When your main drive runs out of room, you’ll have a place to put the overflow files.